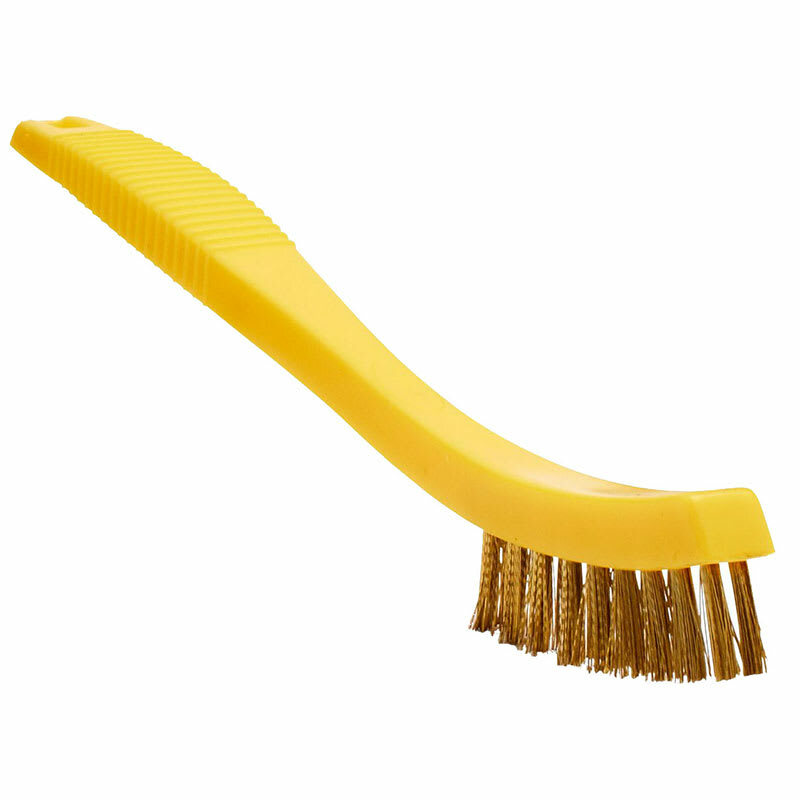 The Rubbermaid FG9B57000000 tile and grout brush removes grease, rust, and paint. 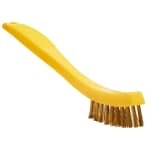 Its 2 by 9 bristle pattern with brass bristles is excellent for tough cleaning jobs. A hole at the end of the handle hangs the brush during storage. "I like the service and how they keep me informed thru email on my delivery, very professional I don't have to be calling asking when I will recei..."
"I like the service and how they keep me informed thru email on my delivery, very professional I don't have to be calling asking when I will receive my product."